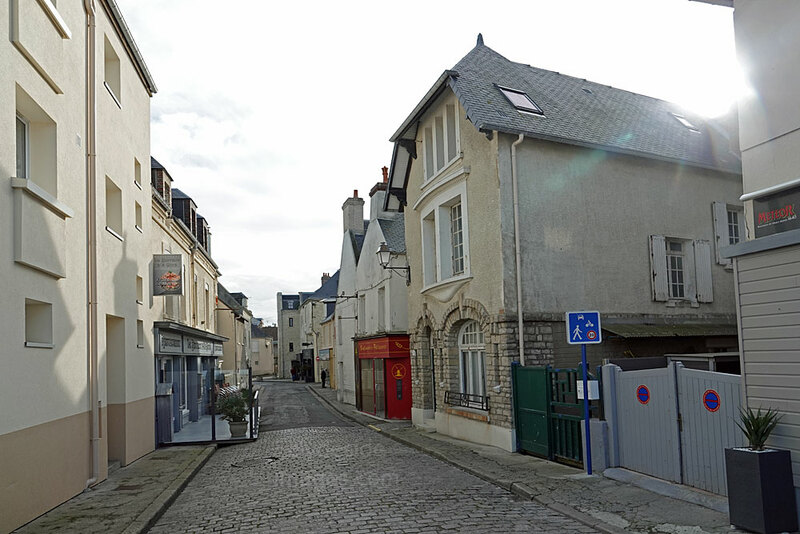 Port-en-Bessin-Huppain is a commune in the Calvados department in the Normandy region in northwestern France. 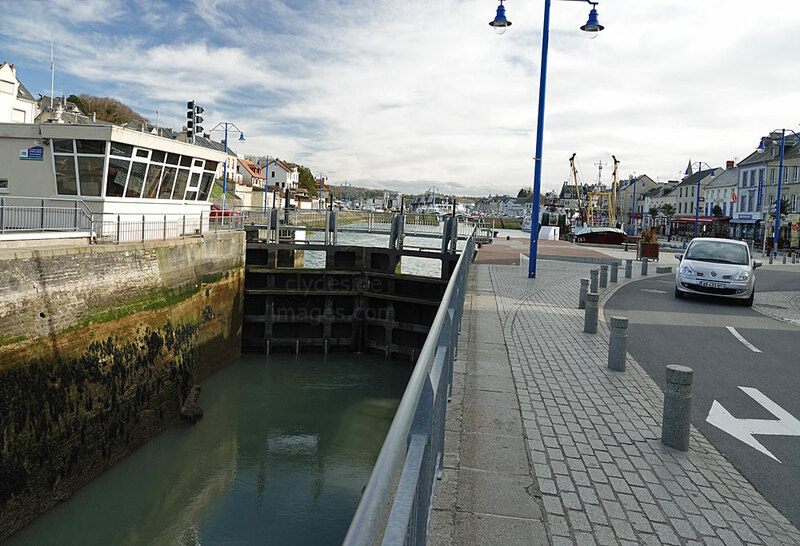 The commune contains the two towns of Port-en-Bessin and Huppain. 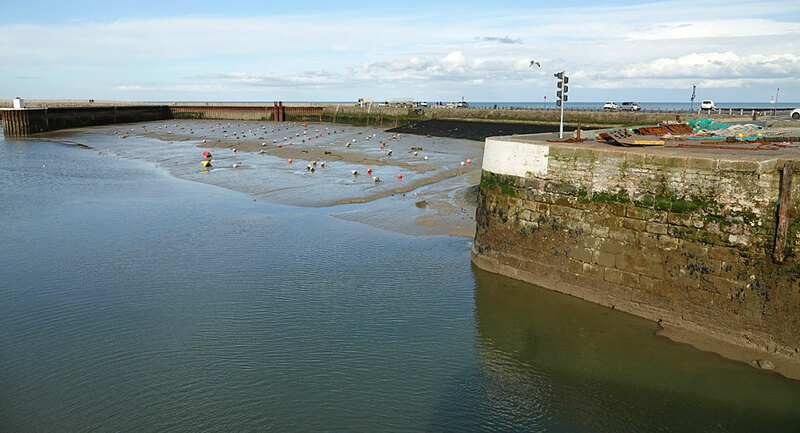 ​The sheltered, historic natural harbour of Port-en-Bessin lay on the western extremity of GOLD Beach. 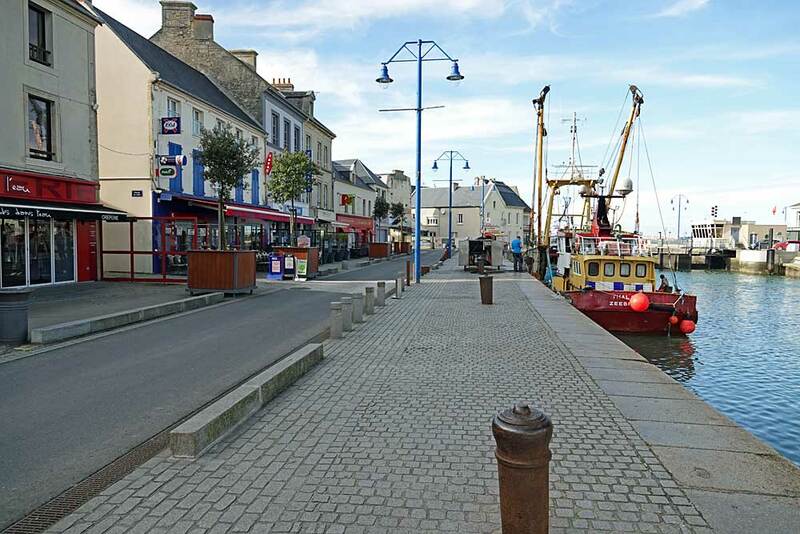 Today it is one of France’s premier fishing centres with its trawler fleet landing between 10,500 and 12,000 tonnes for processing each year. 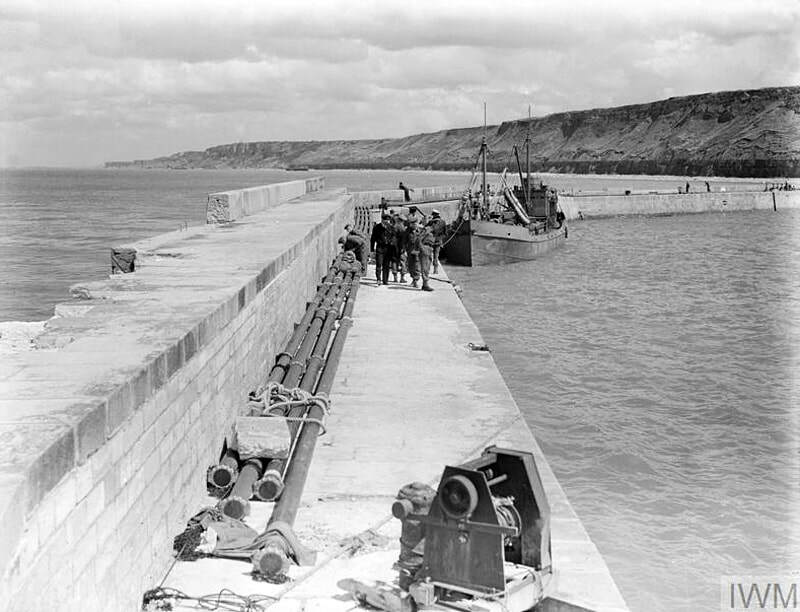 British Royal Marines of 47 Commando were tasked with capturing Port-en-Bessin on D-Day and there are several memorials and plaques to the men who lost their lives during the bitter fighting along this rugged stretch of coastline. Overall, more than 17,500 Royal Marines took part in the D-Day Landings, both ashore and on ships. 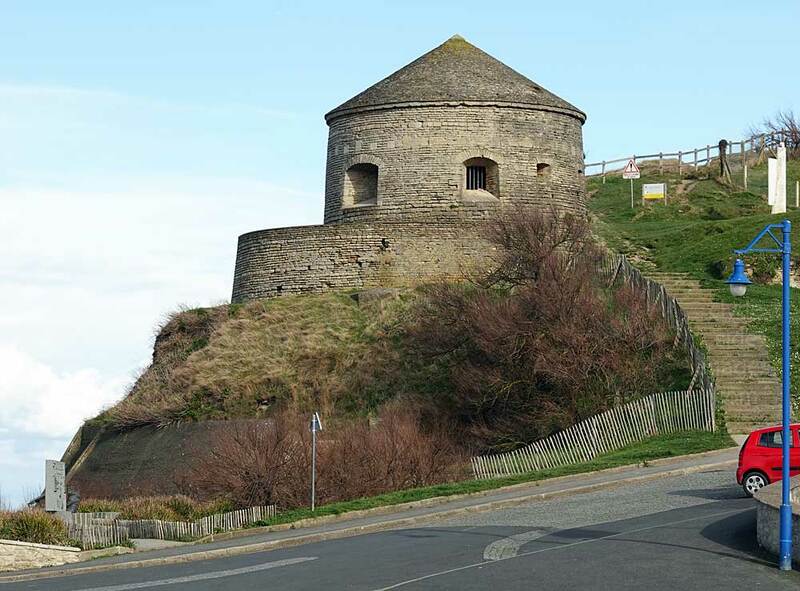 Several bunkers can still be seen around Port-en-Bessin but the most prominent fortification is a Vauban tower (just left of centre above) on the east side of the harbour which was built in 1694 as a defence against English and Dutch pirates. During WW2 the Germans used it as a magazine for supplying nearby coastal batteries. ​This aerial reconnaissance photo, taken by No. 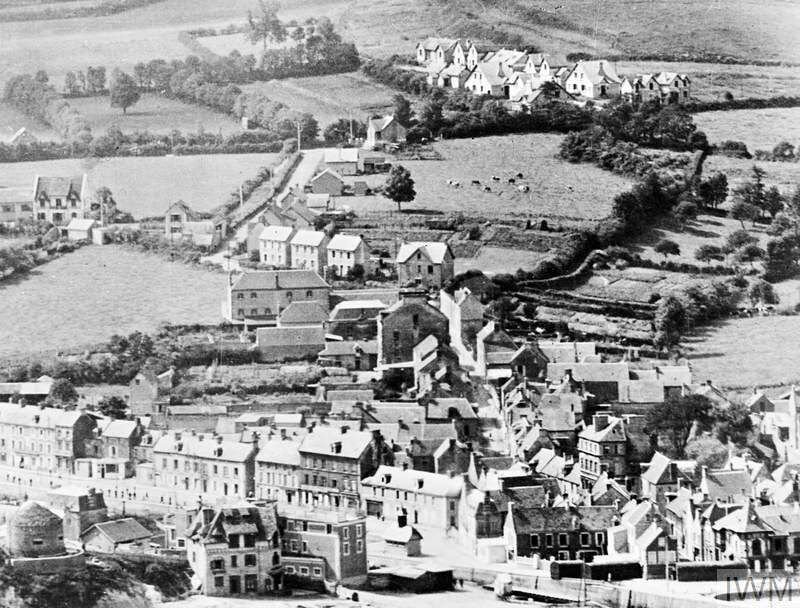 168 Squadron, Royal Air Force, shows the town prior to the D-Day Landings. The Vauban Tower is in the bottom left corner, while on the lower right are large concrete anti-tank walls positioned to block the beach exits. ​In the movie ‘The Longest Day’ (1962), the sequence filmed from a helicopter showing the French Commando attack on Ouisterham was actually shot here. 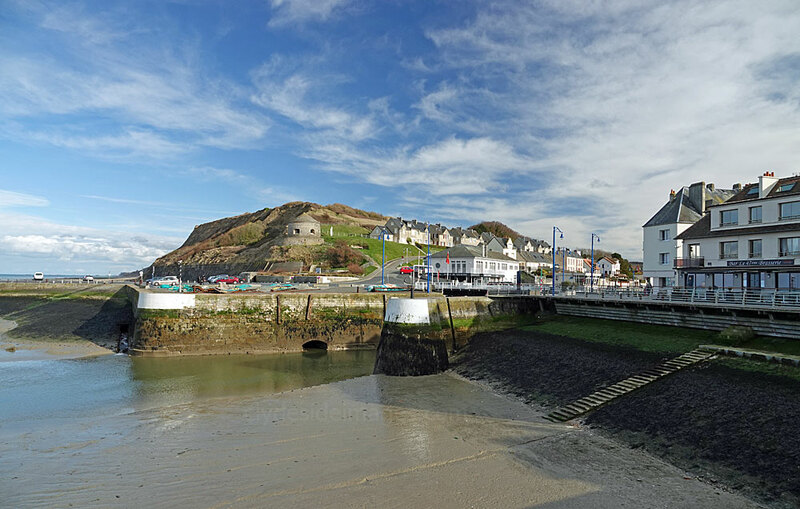 ​There are strong links between Port-en-Bessin and No.47 Royal Marine Commando Association with frequent pilgrimages being made over the years since 1944. The Commandos played a major role in capturing the town and there are memorials on the headlands on either side of the harbour commemorating their actions and the men who gave their lives. Gun emplacements and bunkers can still be seen on the cliffs. It was these fortifications that were attacked on the afternoon of D+1 by No.47 Commando after they`d worked their way, approximately 10 miles, from Le Hamel to the east, each man carrying around 90lbs of weapons and supplies. ​The western headland is shown below. 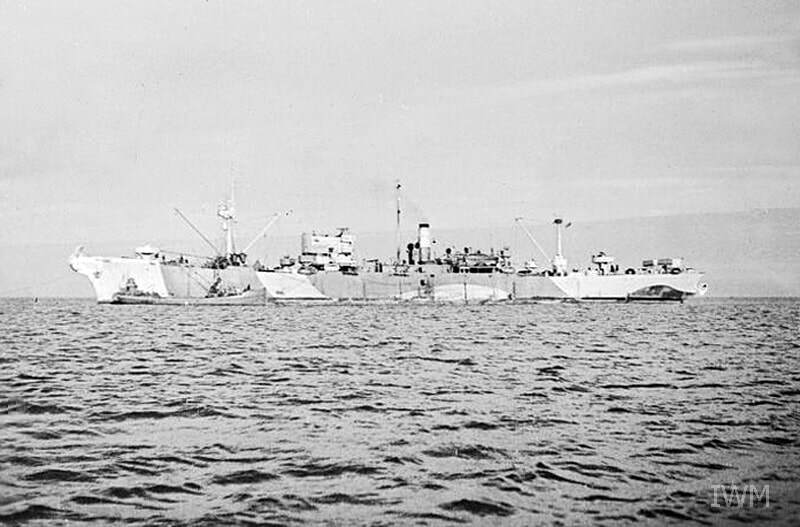 Two of the strongpoints were taken with the assistance of HMS Emerald (D66) (below) which bombarded the enemy positions with her 6" guns. ​Built on the Tyne, the light-cruiser was launched on 19 May 1920 and commissioned in January 1926. 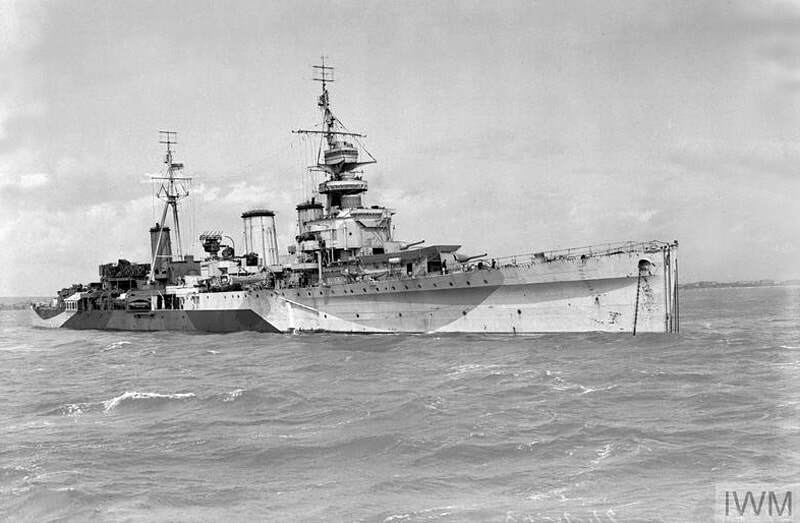 On the outbreak of war, she initially escorted homeward-bound convoys across the Atlantic between Canada and the UK. In June 1941, with the German invasion of England a strong possibility, Emerald left Greenock, Scotland, with £58 million in gold bullion. On July 1st, she reached Halifax, Nova Scotia, where her precious cargo was transferred by train to a secure location and placed in storage until the threat of invasion passed. On D+1, Emerald also fired smoke to screen the Commandos` approach and rocket-firing Typhoons joined in the assault. 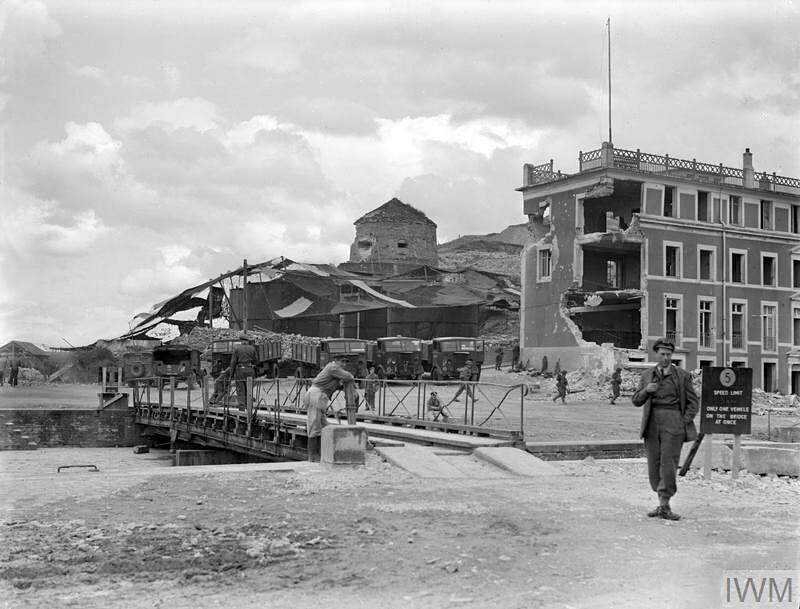 A German counter-attack, supported by flak-ships in the harbour, succeeded in recapturing one of the hills but, having held out until dusk, the German commander and around 100 men under his charge surrendered. The port was now available for the mass landings of men and materiel, as well as the implementation of the PLUTO project, however, It had been a hard-won fight and among those killed was Captain T. F. Cousins, the Commandos` troop leader. 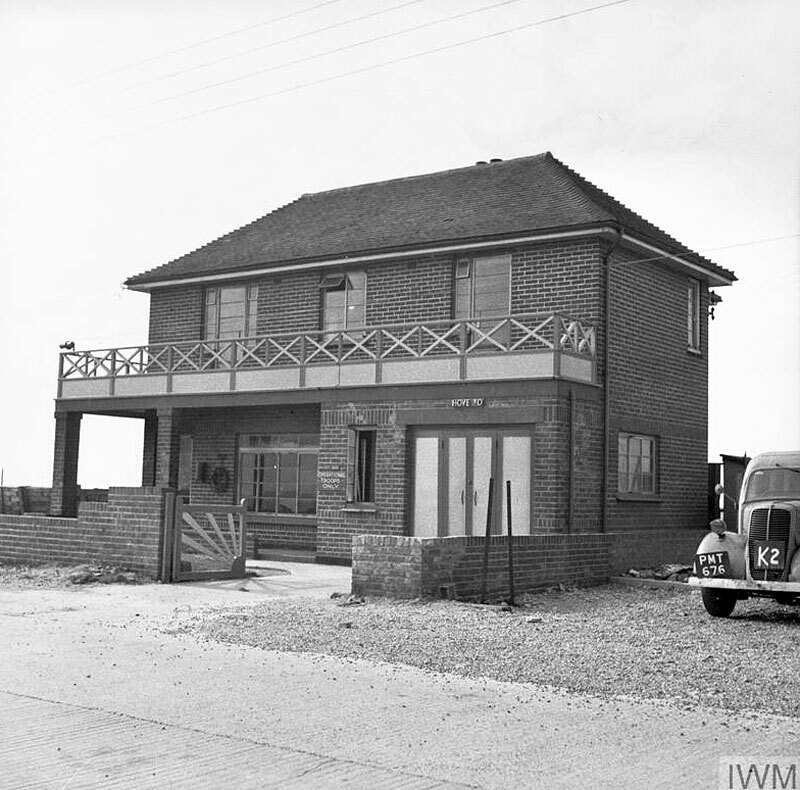 On the early evening of 7 June, he had led a party comprising two officers and 25 Marines from the harbour, up the steep eastern slopes, crossing wire fences, a minefield and trenches before attacking the bunker which covered the approaches. Despite fierce resistance from the enemy and mounting casualties among his men, Cousins, who had already played a major role in securing the west headland, charged the bunker but was mortally wounded by a grenade. The other Commandos neutralised the strongpoint soon afterwards. Many believed that Cousins` extraordinary feat of valour merited the Victoria Cross and his CO made the recommendation, but this was unsuccessful and Cousins was `Mentioned in Dispatches`, the only other possible posthumous award available. In 2002, Royal Marine veterans mounted a campaign to have the VC awarded but it was again refused. 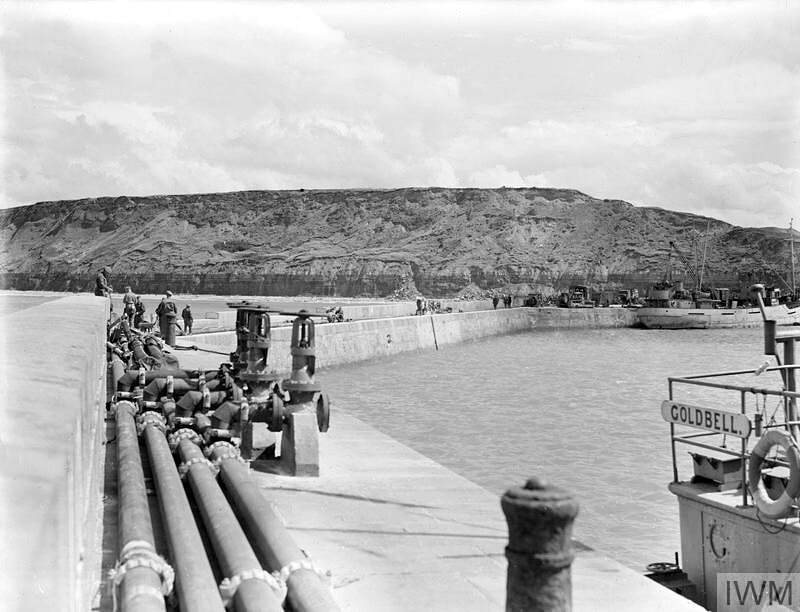 The harbour wall today in comparison with the hectic scenes illustrated in the following wartime shots. 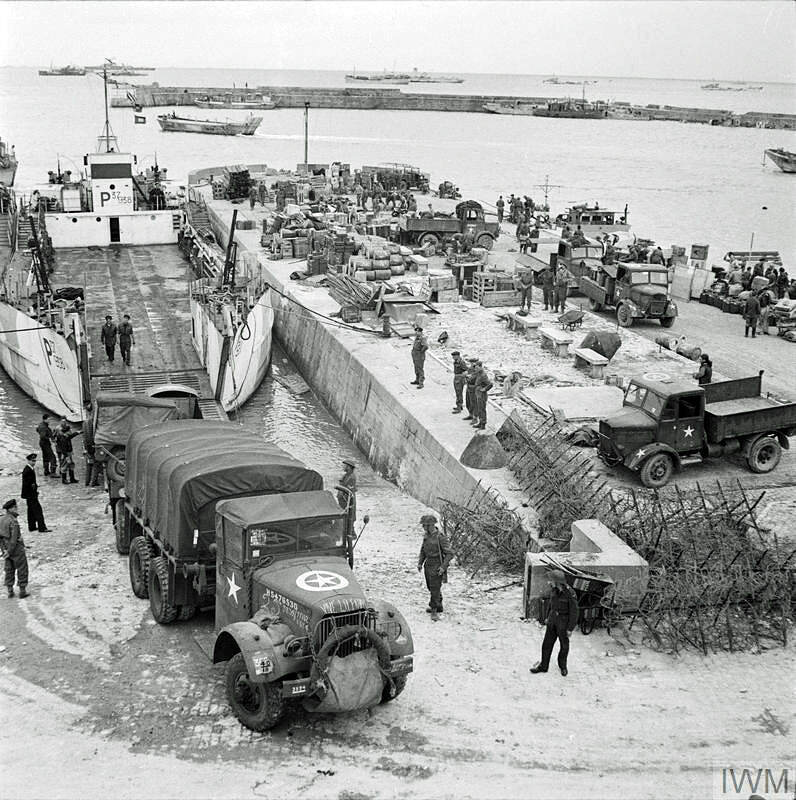 ​A 6-ton Mack NM 6x6 truck and a Universal Carrier of 69th Brigade, 50th Division, come ashore from an LCT (landing craft tank) at Port-en-Bessin on 10 June 1944. Other lorries can be seen being loaded with supplies on the quayside. The waterfront here has changed little since these shots were taken. 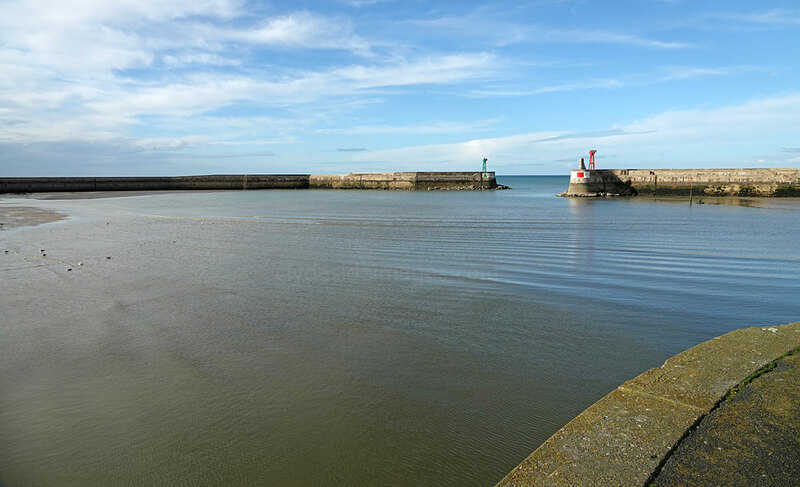 Above: The PLUTO pipeline running round the eastern breakwater at Port-en-Bessin. (see below). 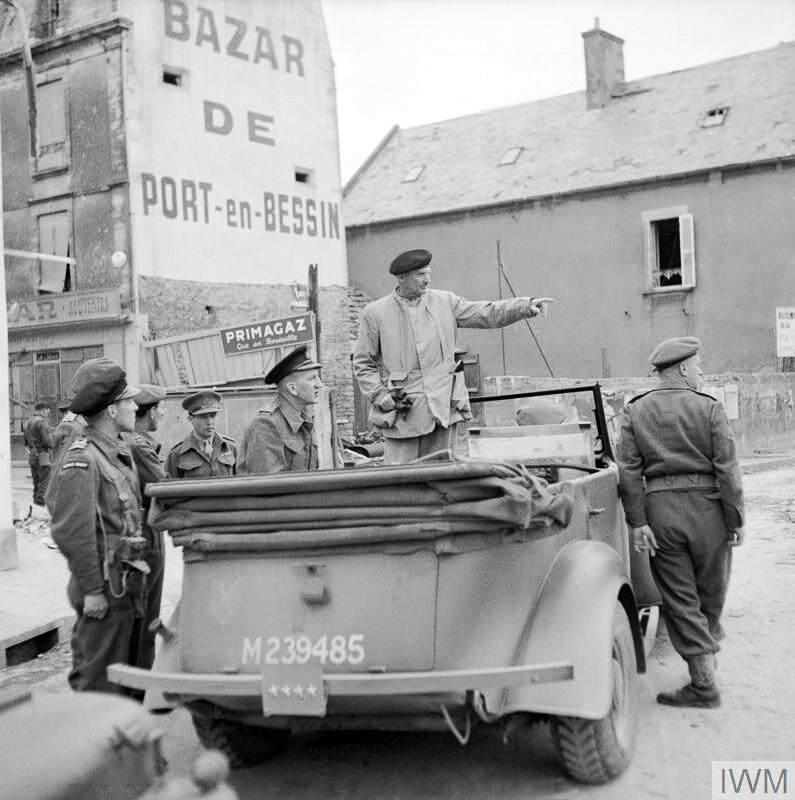 General Sir Bernard Montgomery stands in his staff car while in conversation with Army and Royal Navy officers in Port-en-Bessin, 10 June 1944. 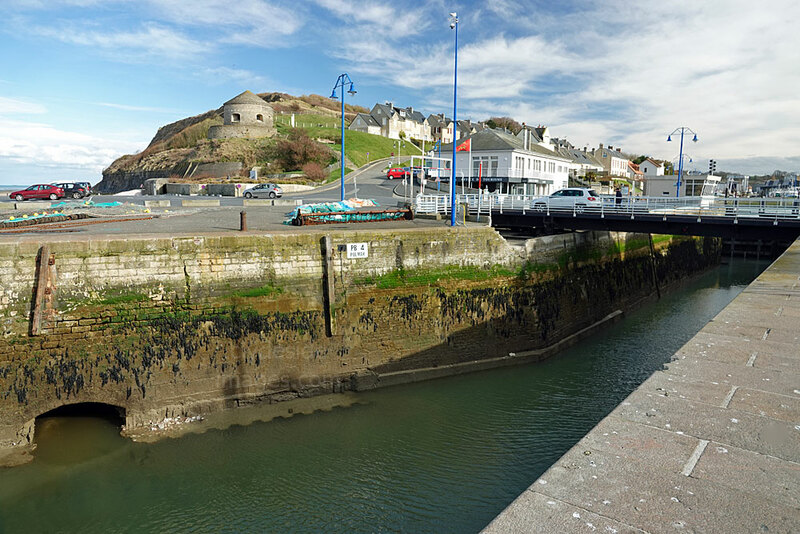 Some general views of the harbour and the town`s fishing fleet. The memorial shown below commemorates fishermen lost at sea. More views of the town, old and new including images of pipes being laid and camouflaged storage tanks near the harbour entrance. ​Sébastien Le Prestre de Vauban, (1 May 1633 – 30 March 1707), commonly referred to as Vauban, was a French military engineer who rose in the service to the king and was commissioned as a Marshal of France. Considered the foremost engineer of his time, Vauban is known for his skills both in designing fortifications and breaking through them. His concepts were the dominant model of fortification and siegecraft for nearly 100 years. Between 1667 and 1707, Vauban upgraded the defences of around 300 French cities and directed the building of 37 new fortresses. He also fortified military harbours including Brest and Dunkirk and his towers can been still be found all across Europe. 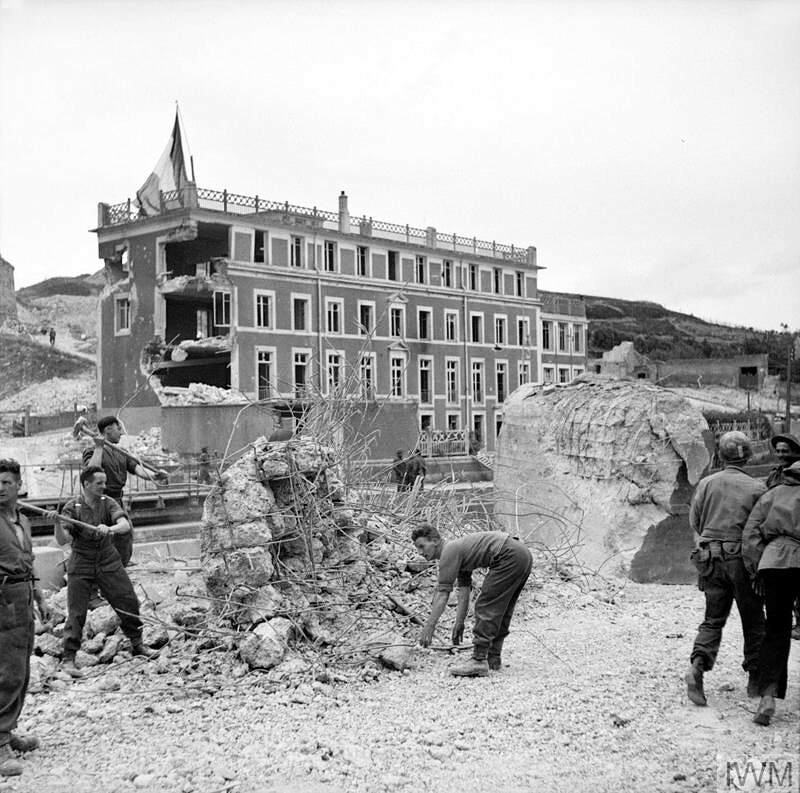 The IWM image above shows the damage the Poert-en-Bessin tower sustained during the battle for the town on 6/7 June 1944. 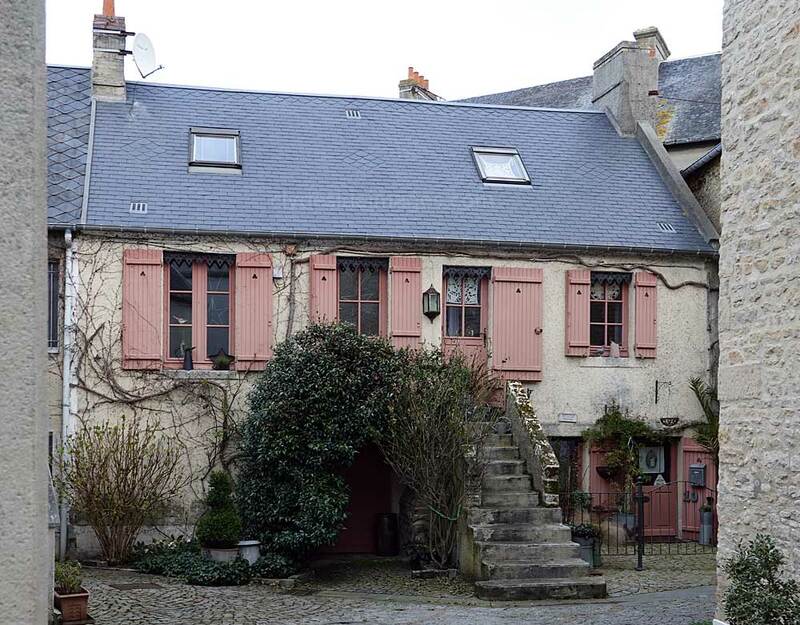 Some of Port-en-Bessin`s buildings were left relatively unscathed during the Landings. 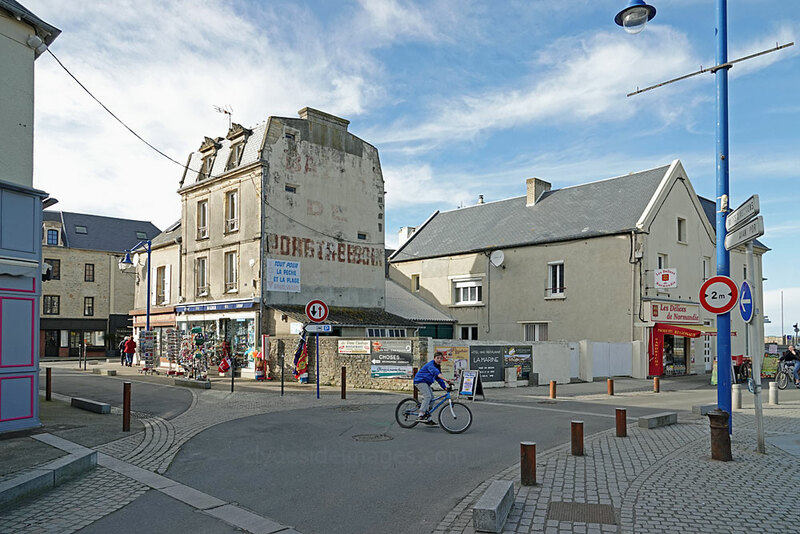 As you approach Port-en-Bessin from the south on the D6 there’s a scrapyard (not illustrated) on the right-hand side of the road which doubles as the Museum of Underwater Wrecks. It was on my ‘to do’ list, however, due to the timing of my visit (mid-March) it was closed. Most of the main D-Day museums in Normandy are open year-round but others, like this one, only open for the summer season. Some of the largest exhibits at the Underwater Wrecks Museum, including rusting Sherman DD and ‘dozer’ tanks, plus artillery pieces, are kept in the open and are usually partially visible from the compound gate but I found they were completely hidden by tarpaulins, so no photos! 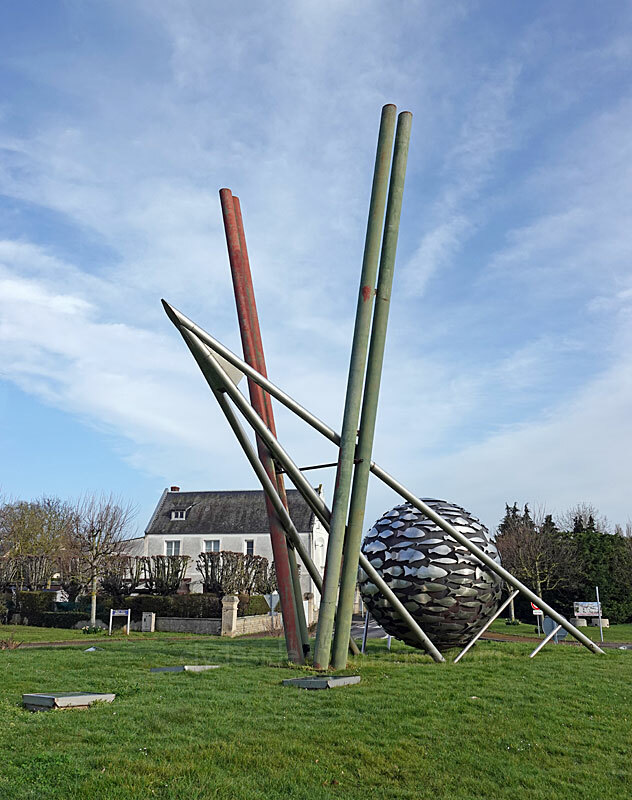 ​A large silver ball-shaped object with metal posts sticking out of the top stands on the roundabout on the outskirts of town. 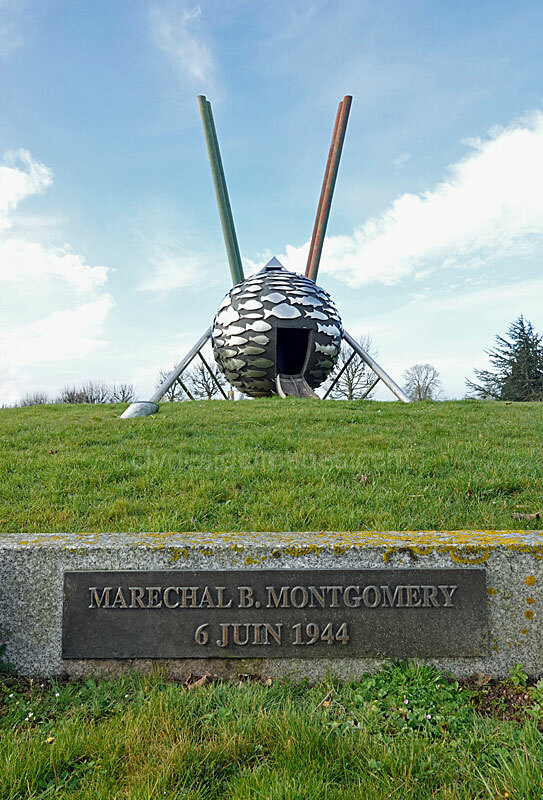 This is actually the Montgomery Roundabout Memorial, which was inaugurated on the 50th anniversary of D-Day by Viscount Montgomery, the Field-Marshall’s son. 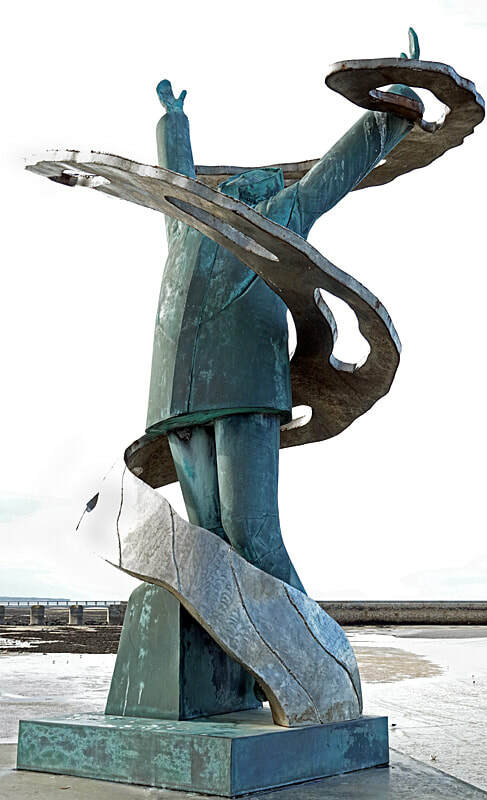 The sculpture was created by Henri Lebihan and is called ‘ESSOR’. 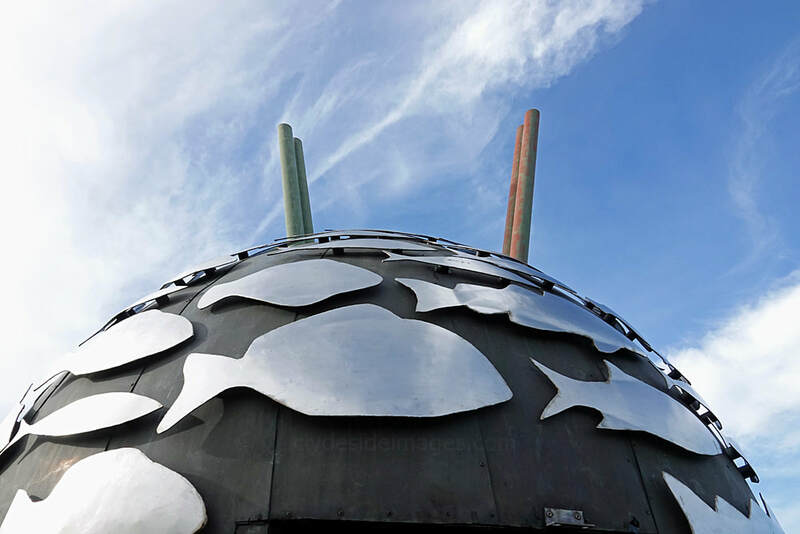 The sphere, designed to revolve and covered with fish, represents the world of the sea and the protrusions are the Pipeline Under the Ocean or PLUTO, a name more often associated with a planet or Mickey Mouse’s dog! The above view looks south along the route taken by Allied troops as they pushed inland on 6 June 1944. 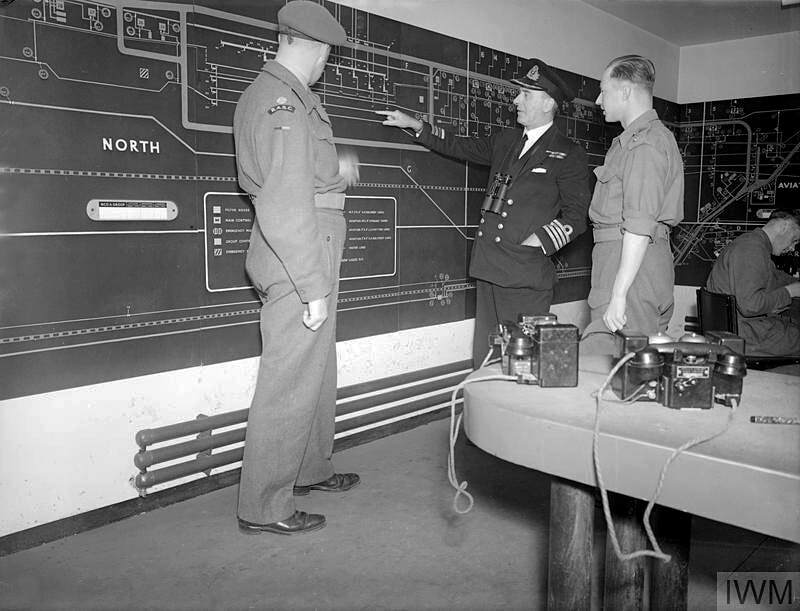 The original, highly ambitious engineering project became vital to the success of the build-up of forces for the advance through Western Europe following the Landings. When planning the invasion, Allied commanders were concerned that the constant requirement for vast quantities of fuel to supply the ground forces would be highly problematical. Seaborne tankers were susceptible to U-Boat attack and would likely cause congestion at the limited landing sites which were at risk from airborne attack. Even if a single attacker managed to penetrate the Allied fighter screen and successfully bomb one of the fully laden vessels, the results could be catastrophic. 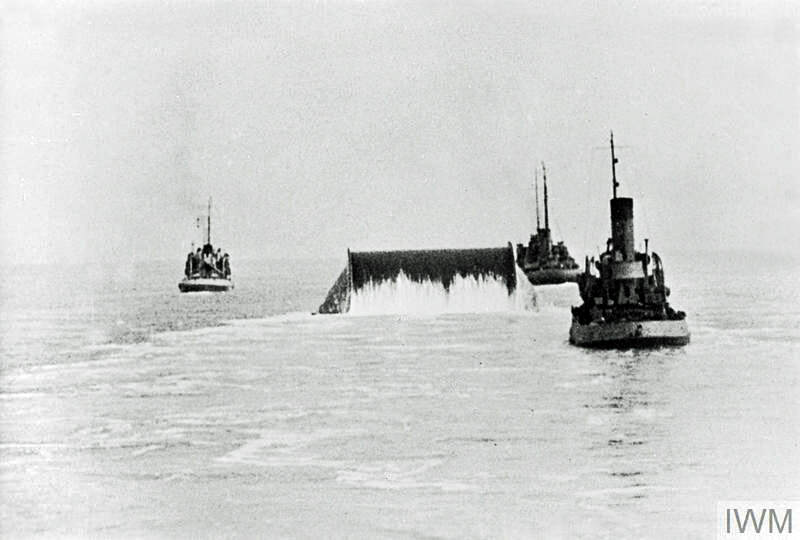 The solution devised was to lay a vast network of pipes under the English Channel that could carry thousands of litres of fuel, initially to Cherbourg, with a route to Boulogne added later. 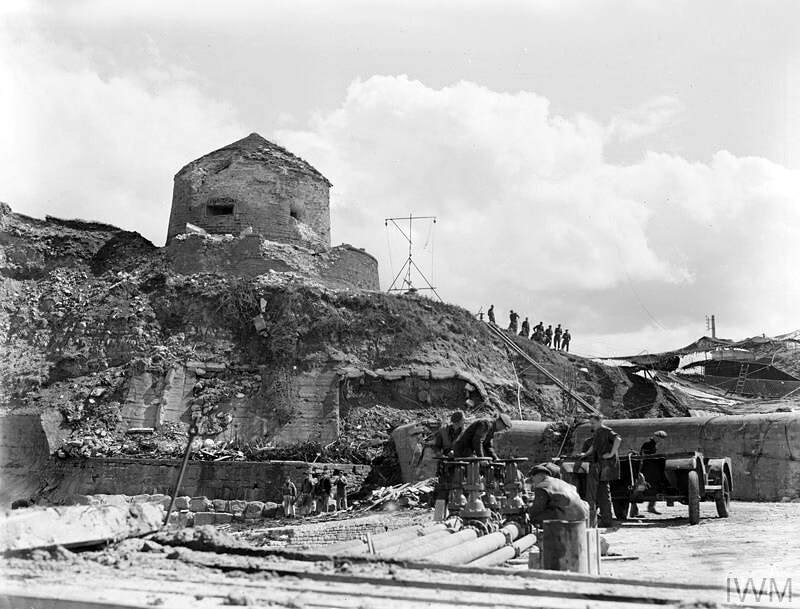 The scale and complexity of the operation, however, meant that project didn’t become operational until 18 September 1944. 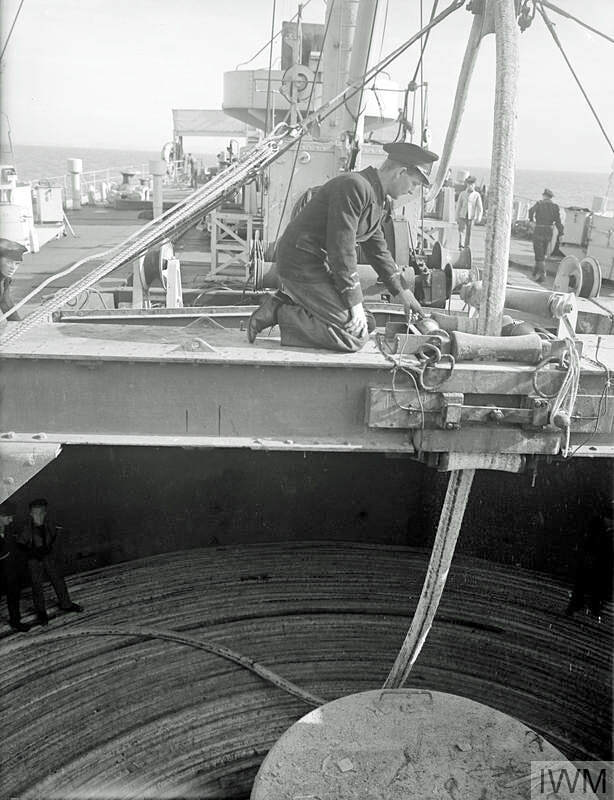 There were two types of pipe, a flexible one laid at sea code named HAMEL, after the men who invented it, H.A. Hammick and B.J. Ellis. ​​The first type was less flexible than the HAIS pipe developed development by Siemens Brothers, in conjunction with the National Physical Laboratory, of their existing undersea telegraph cables. 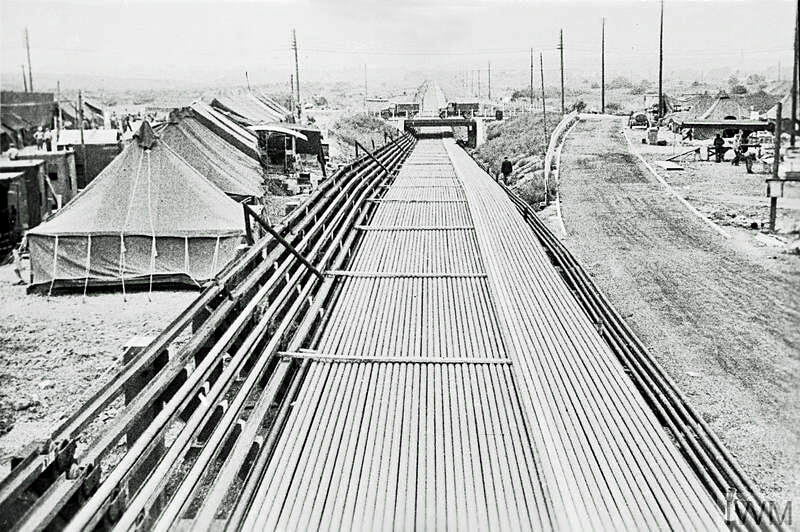 The HAMEL sections formed the bulk of the pipeline with lengths of HAIS connected at each end to make joining easier. Various types of vessels, from large to small were used in the project. The shot on the left above shows HMS Latimer, one of a number of freighters specially adapted to lay the cross-channel pipelines. She had been built by Lithgows Ltd, Port Glasgow, as a 6,838 GRT cargo ship and was launched on 21 August 1941. The other view shows tugs taking a laden `Conundrum` across to France. 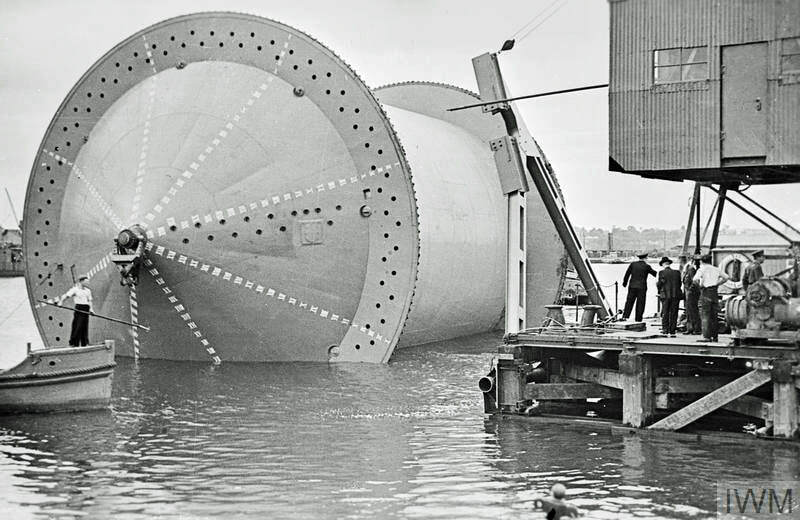 The first PLUTO prototypes were tested in May 1942 across the River Medway, and the following month the Post Office cable ship Iris laid lengths of both types of cable in deep water across the Firth of Clyde. Both pipelines proved viable the go-ahead was given to begin mass production. 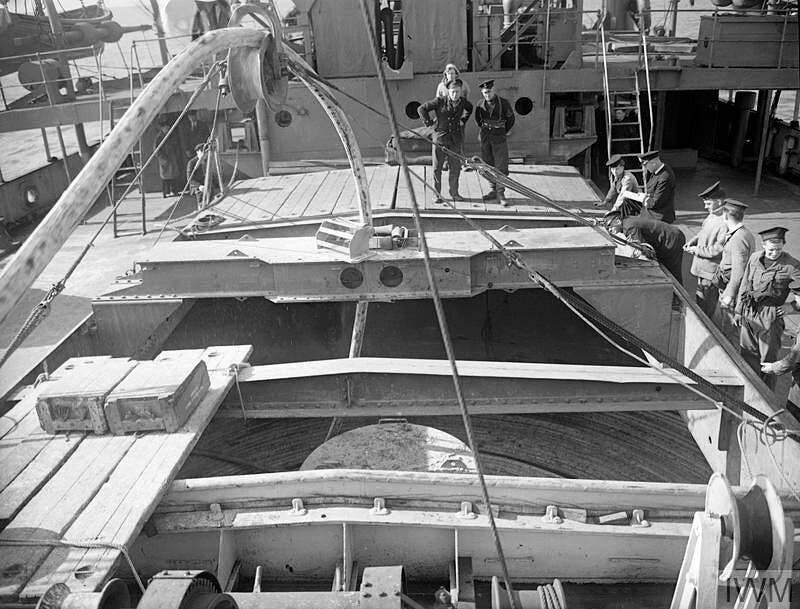 The Clyde trials showed that existing cable ships such as the Iris were not large enough to cope with the new equipment, nor were their loading and laying gear sufficiently powerful and robust. It was as a result of these findings, that the conversions of large merchantmen began. ​Fuel stored on the UK mainland was piped to covert centrifugal pump houses in southern England from locations as a far afield as Bristol and Liverpool. 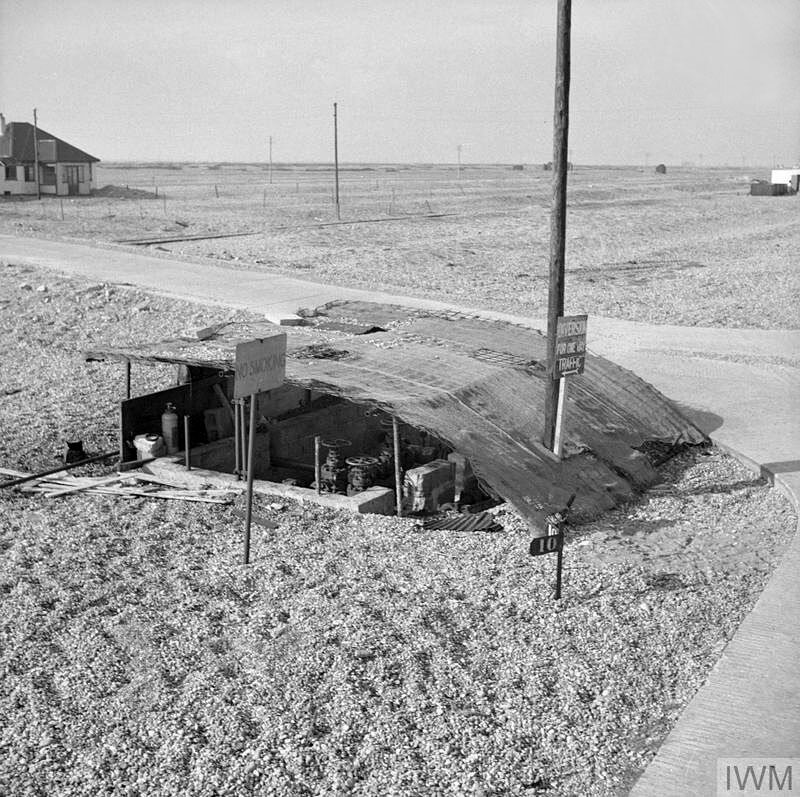 These three installation were all on the south coast of England with the one on the right, at Dungeness, Kent, camouflaged to resemble the surrounding gravel quarry in which it was sited. 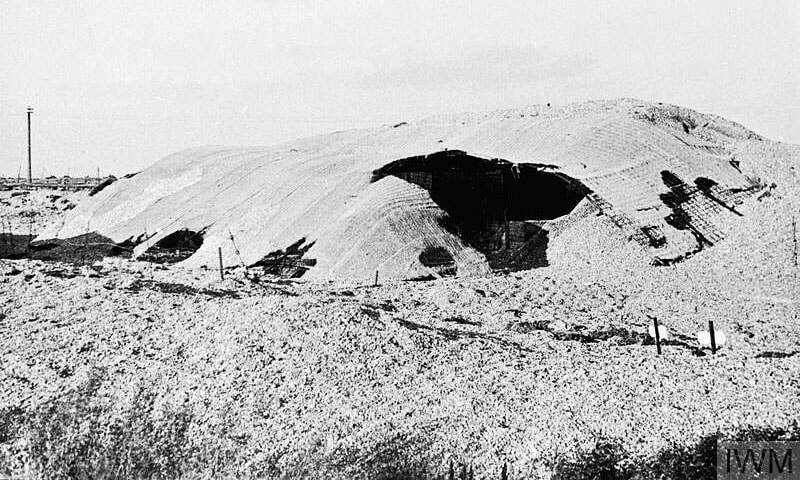 ​​High pressure forced the fuel through the pipeline under the Channel and across to France and although it didn’t start flowing until three months after D-Day, PLUTO was a resounding success, and by January 1945, 305 tonnes of fuel per day were pumped to France, increasing to over 3,000 tonnes by March of that year. In total, over 172 million gallons of fuel was pumped through PLUTO over the course of the war. 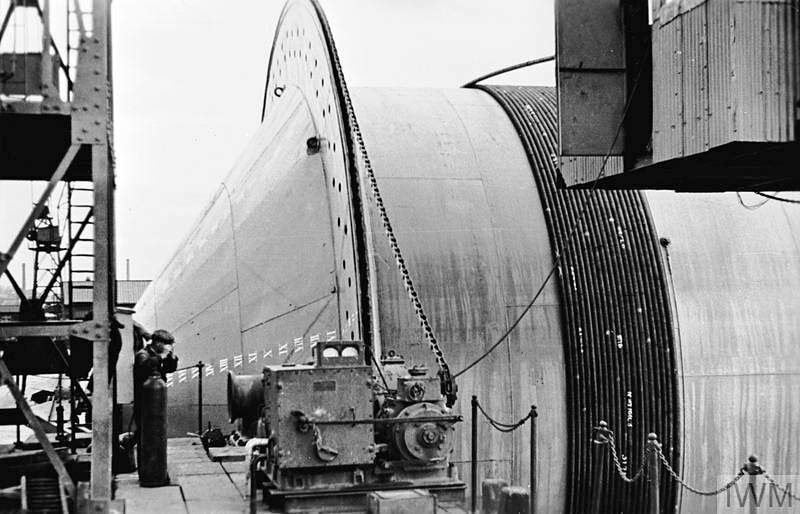 The above view shows pipe being stored in three quarter mile lengths before being wound onto a 'Conundrum', a massive, floating cotton reel-like construction, each of which had a wound weight of 1,600 tons which is roughly the same as a destroyer. ​The other views show a 'Conundrum' being moved into position at a specially constructed dock where loading begins. 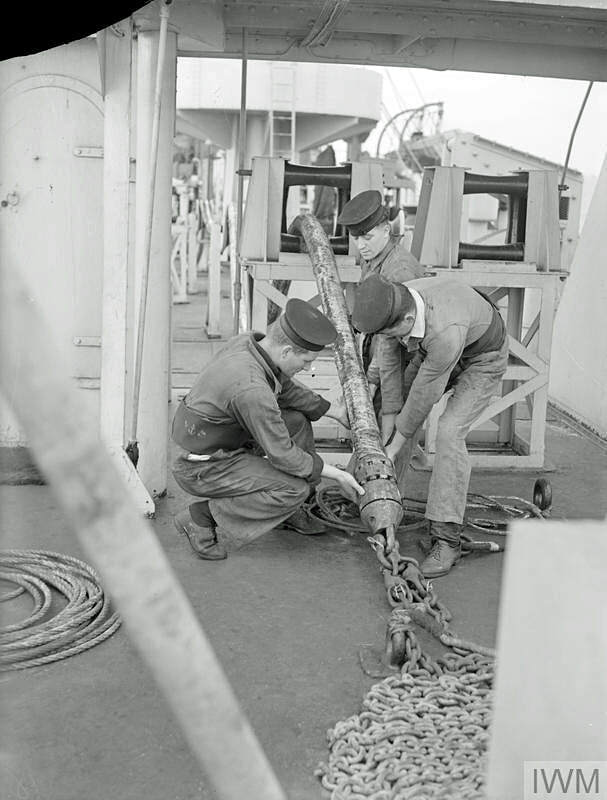 This batch of photographs held by the Imperial War Museum shows cable-laying operations on HMS Sancroft, somewhere in the English Channel in 1945. Another product of Lithgows of Port Glasgow, this vessel was built in 1941 as the Empire Baffin but was subsequently converted and commissioned into the Royal Navy two years later. The image above left shows the pipe leaving the huge drum in the hold of HMS Sancroft over a slung pulley. The view alongside was taken in the main control room at Dungeness. Present are Captain J F Hutchings, RN; Major F W Danger, RASC, of Whitley Bay; and Captain R W Gordon, RASC, of Inverness. The wall plan shows the amount of spirit passing through each pipeline to France. ​There is an additional memorial (not photographed) to the invention and those who worked on the PLUTO project at Port-en-Bessin Harbour. It takes the form of a bass relief in grey stone and is the work of French artist Pierre Courtois, sculpted by Didier Poisson. It was unveiled on 7 June 2004. 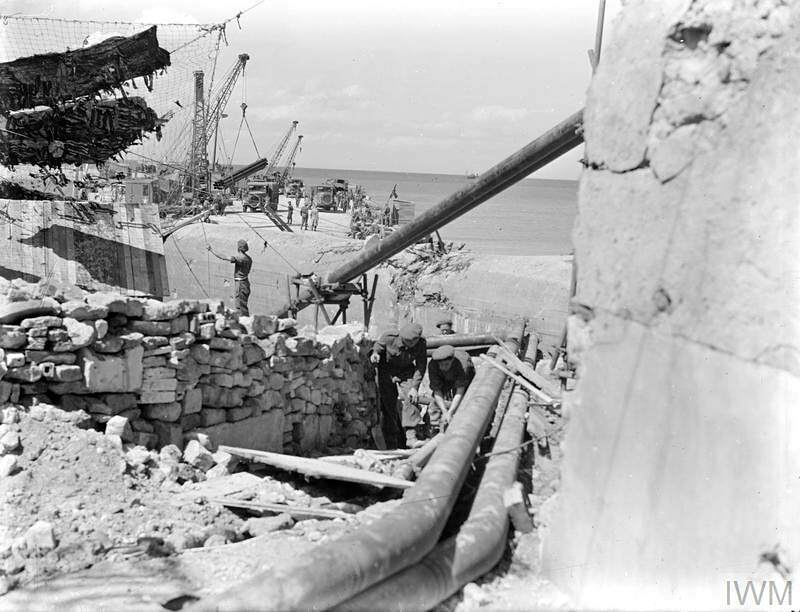 The photo on the right below was taken on 10 June 1944 and shows Royal Engineers breaking down the remnants of the concrete tank barriers on the waterfront after they had been demolished by explosions. The main pipe line continued in a south-easterly direction from Port-en-Bessin towards Bayeux, initially running parallel with the D6 road. 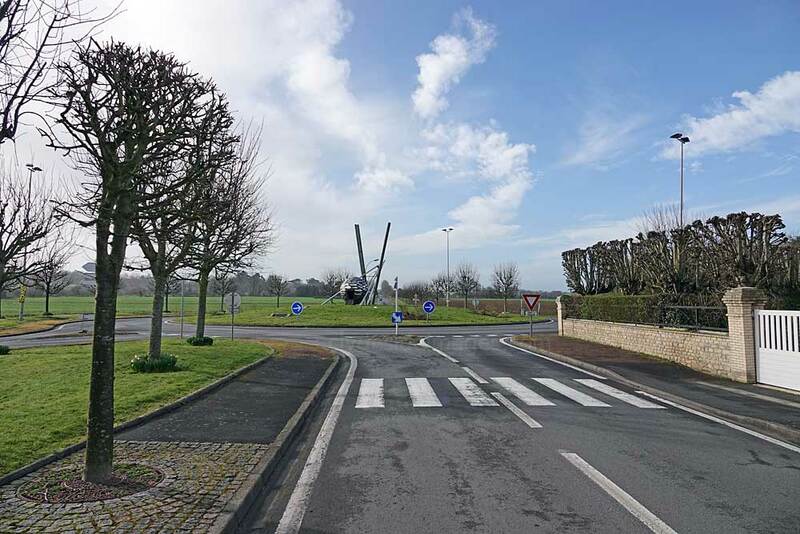 Bayeux lies in the direction the car is heading in the following shot taken from the centre of the `PLUTO` roundabout. 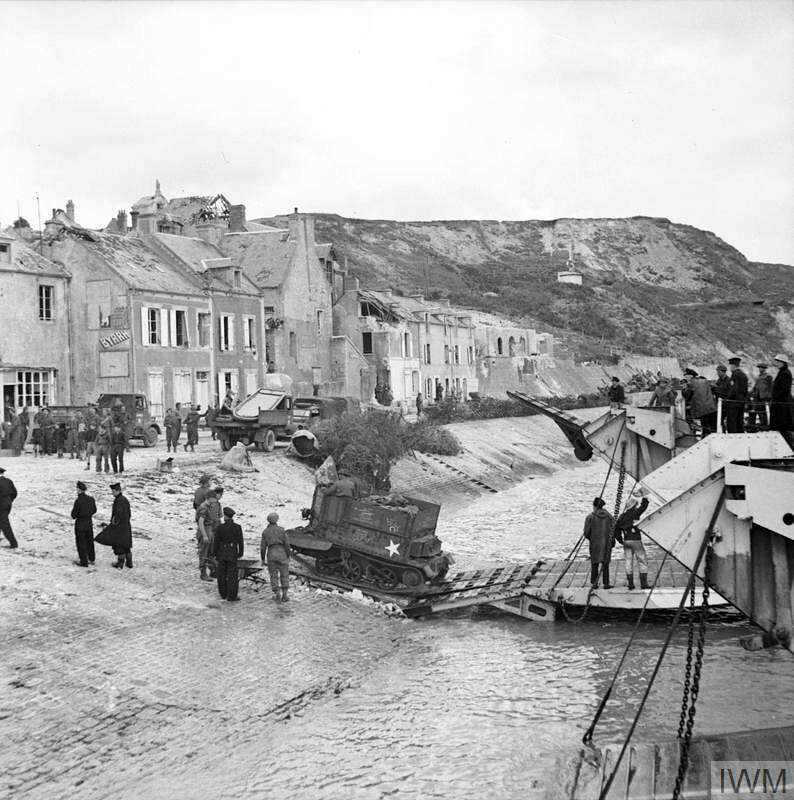 A spur line ran west from Port-en-Bessin to the N13 and thence to Cherbourg.